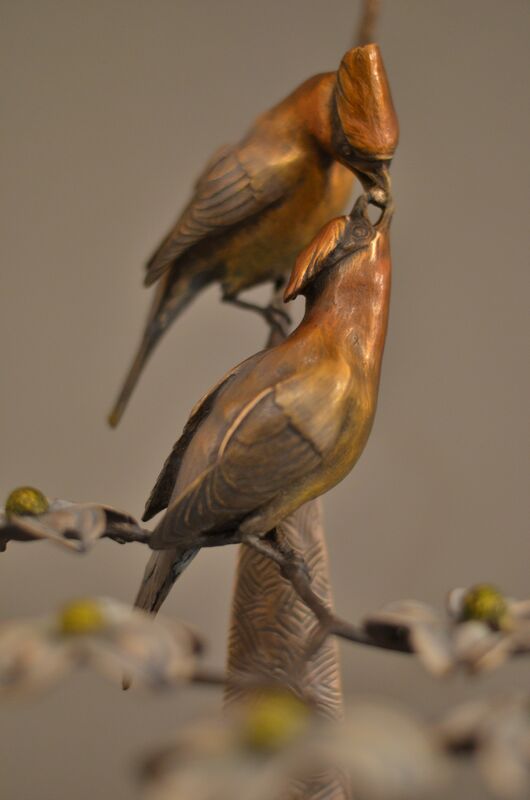 Rites of Spring is a sculpture of a pair of Cedar Wax-wings performing their mating ritual on a branch of Dogwood flowers. This pair will choose an object and pass it back and forth seemingly endlessly in a show of cooperation and companionship. I created this piece for my youngest daughter asa a wedding gift.